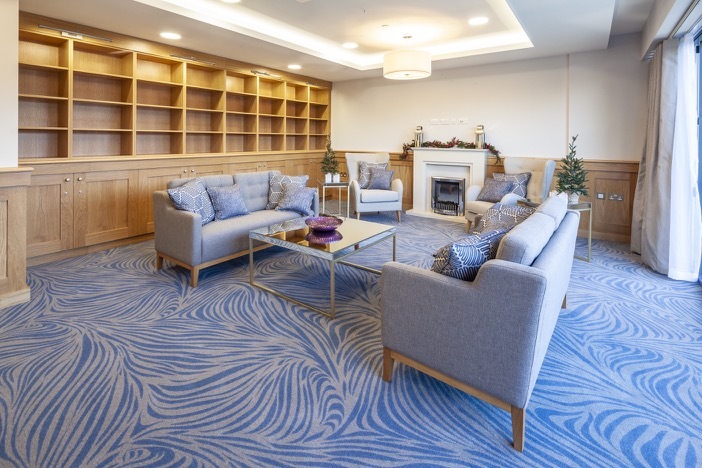 The 64 apartments for sale are designed with quality and comfort for people over 55 years old who wish to live independently. 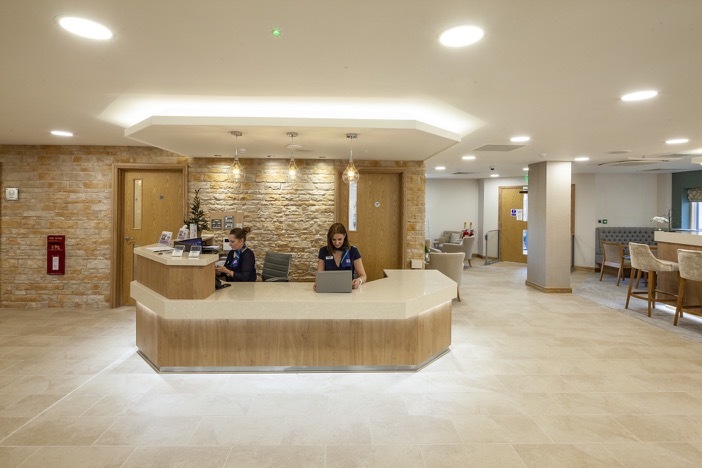 They are accompanied by superb community facilities to ensure residents can have privacy when they wish, but can also enjoy the benefits of socialising with like minded people. 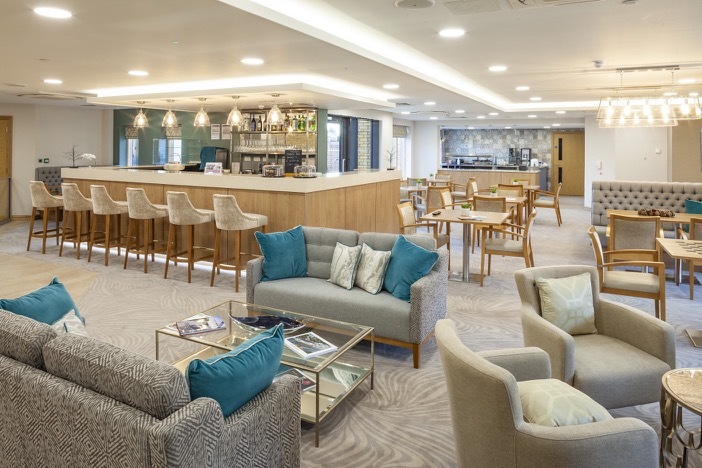 The project has evolved from the very best thinking from the UK and overseas senior living designs. The 1, 2 and 2 Bedroom Plus and Rooftop apartments will be of a high quality specification, most with balconies or outdoor space, and each is designed on a single level. 24 hour Reception - run by our in-house team who will ensure that all services and facilities are operated to a high standard. 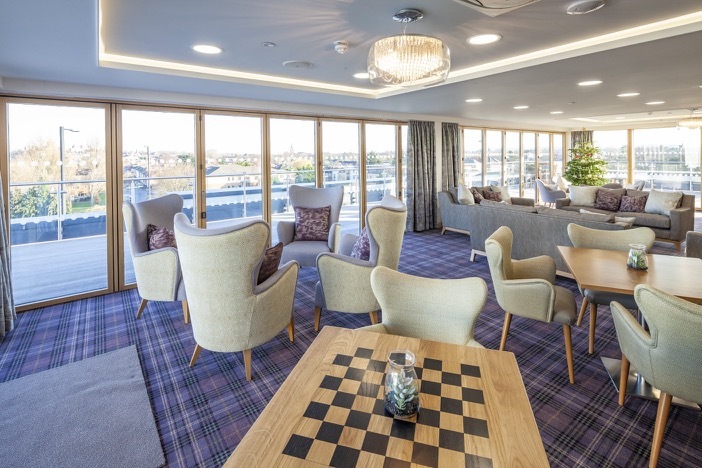 Sky Lounge - On the fourth floor is the residents’ sky lounge, bar and garden with spectacular views over Windsor Castle and St. Leonards Hill. The roof top lounge is available to all residents and can be used to hold events or private functions. Private dining room - available for entertaining, eg. birthdays or family celebrations. Car Parking - A secure underground car park, with lifts to each floor, will ensure easy access to all the apartments and facilities. Car park spaces must be purchased one per apartment. Visitors parking will also be available at ground level. Visitors parking – a number of spaces at ground level are available for visitors. 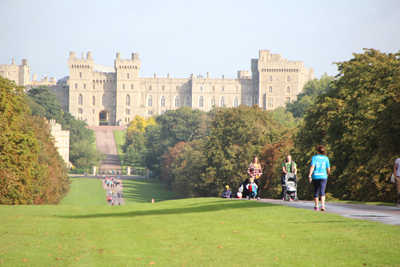 Castle View Windsor has been designed specifically for people over 55 years old who may wish to live independently in a beautiful home meeting their future needs, with the knowledge that a little help and support is available should it be needed. Assisted living packages will be available for people who need a little extra help in maintaining an independent lifestyle. There will be a range of services available including meals, housekeeping, laundry and domiciliary assistance. These will be tailored to the needs of individuals, to ensure that high-quality support is provided. In addition, a new care home, run by the leading operator Care UK, will be built adjacent to the Castle View apartments. There will be a secure link from the care home to the apartments at ground floor level. To help you enjoy life to the full, and to make things a little bit easier and simpler, our staff at Castle View Windsor are able to provide a range of assisted living packages. Residents can choose to have none, some or all of the range of assisted living services while living in their apartment. These are can include weekly linen and towel change, laundry, meals, or perhaps a daily housekeeping visit to help you with anything that you require.